Marvelless Mark’s presentations do just that and bring audiences to their feet as they drum along, fully engaged in the action. 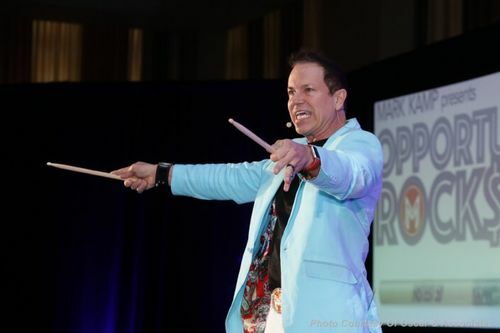 When you hire Orange County keynote speaker Marvelless Mark and his Opportunity Rocks ® keynote for your event, your attendees will not only learn how to become business rockstars, but they will also have fun doing it. 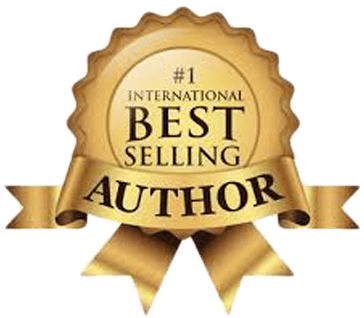 BE THE ROCKSTAR & INVITE MARVELLESS MARK® TO SPEAK AT YOUR MIAMI EVENT! & Team Building to The Next Level? You’ll need rock star content and rock star delivery. You’ll need a motivational speaker that can deliver these rock star results. Someone who will not only engage and entertain your employees but also cause lasting change and unleash their highest potential. 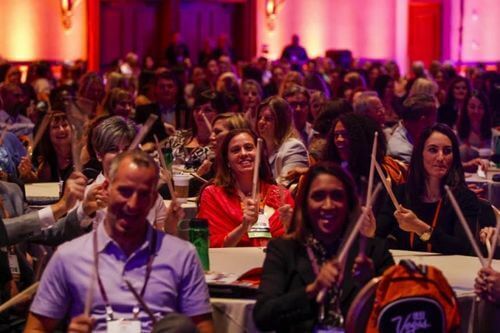 You’ll need to find someone that will shift your attendees’ mindsets and have them heading back to work with the energy of the event still coursing through their veins. Most importantly, you want your attendees to be excited and motivated for a long time to come. Imagine what it would be like if your team was fully energized and working together to rock your business. When teams are energized and working together, they perform better and are focused on achieving their goals. Book Marvelless Mark, Miami team building speaker, for your next corporate event, team building event, or conference. 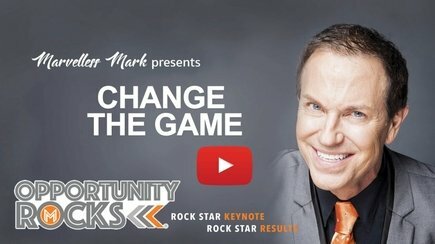 Mark uses his 3 Keys to Rock Star Teamwork, during which your employees will learn to adopt a positive mindset, work together, and unleash their inner rock stars. They’ll return to work with a renewed passion for their roles. Your audience will learn, laugh, get on their feet and get ready to take action to transform their business. Also, With Marvelless Mark’s® special Rhythms in Business® finale, they may even get to pretend they’re Led Zeppelin’s John Bonham or The Who’s Keith Moon. The right Miami motivational speaker will breathe new life into your organization. Your employees will improve their performance and reach new heights together. BRING MARVELLESS MARK TO YOUR MIAMI EVENT, CLICK HERE TO BOOK TODAY! Music is powerful, but can we really learn to be better in business from rock stars? Yes! Business wisdom is Rock N Roll’s untold story. The only question is, “Are you listening?”. During Marvelless Mark’s “Opportunity Rocks” keynote (named after his award winning book), he’ll teach your team to rise to the level of business rock stars … through the success secrets of your favorite musicians. 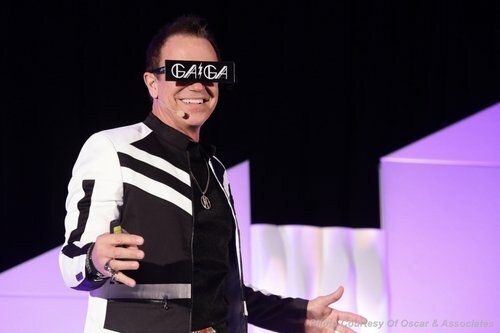 Not your normal, stuffy keynote, this fun, interactive experience (which includes serious business content) uses music, energy, and audience participation to deliver Mark’s powerful message of Vision, Action, and Change. Ever wonder what your attendees will look like rocking out like John Bonham from Led Zeppelin? With Marvelless Mark’s special Rhythms in Business Finale, you’ll get to find out! They’ll get on their feet ready to take action and transform their business and their lives. Looking for Miami’s Top High-Energy Motivational Keynote Speaker? 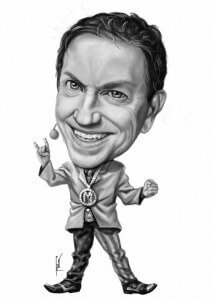 With Marvelless Mark’s background (a former radio personality and Las Vegas Headliner) his approach to corporate entertainment and to keynote speaking has always been one of audience participation served up with rock concert energy. Marvelless Mark will connect with your audience and set the tone and pace for your meetings. 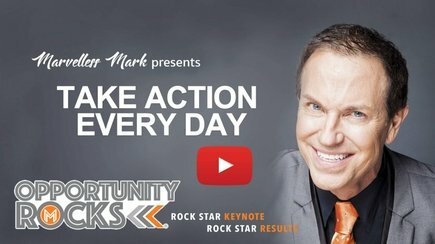 “Opportunity Rocks” is a high-energy, fun, and interactive keynote event that delivers a powerful message of Vision, Action, and Change. Let’s discuss how Marvelless Mark can help communicate your corporation’s message at your next event. When you need a Miami Keynote Speaker, Marvelless Mark is the perfect choice. He’s worked with industries from tech to healthcare and everything in between. His clients include IBM, 3M company, SONY , and MTV to name a few. He’s had their Miami event attendees channeling their inner rock star for years, and he’ll do the same for your event. Mark Kamp (aka Marvelless Mark) is no stranger to the business world. He’s brought his talents to radio, insurance, travel, and to the Las Vegas nightclub scene,. He’s used his business acumen in every role, maintaining top executive sales status at WIBM FM Radio in Michigan and KJAS/KJAQ Radio in Missouri, revolutionizing the cruise industry, and doing $8 million in sales at the Venetian in Las Vegas in less than a year. Then, he decided it was time to revolutionize the professional speaking world. He combined his business prowess with his passion for entertainment and now he delights audiences on corporate stages around the world. Mark has worked with some of the world’s most respected organizations including American Express, Andersen Consulting, AT&T, Citibank, Coca-Cola, Ritz-Carlton, Johnson & Johnson, McDonald’s, Revlon, Sony, and Disney to name a few. He has shared the stage with celebrities such as- Jay Leno, Huey Lewis & the News, Faith Hill, Bill Cosby, Donna Summer, The Steve Miller Band, Martin Short, KC & the Sunshine Band, Billy Idol, Kool & the Gang; B-52’s, 38 Special, Journey, and many others. His work has been featured in magazines such as Event Solutions, The Special Event, Biz Bash, American Entertainment Magazine, Small Business Trendsetters Magazine, Las Vegas Style, and most recently, he was featured in Business Innovators and USA Today. Marvelless Mark has already wowed audiences around the world. See what he can do for yours. Marvelless Mark rocks! He’s easily the best investment you can make to ensure you have a wildly successful event. 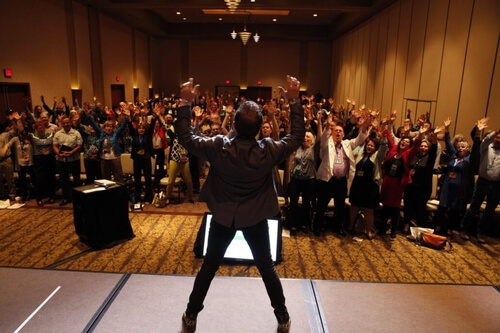 At our recent national conference for over 2,000 Mark not only rocked the house as the MC for our Saturday dance party, he then completely shifted gears the next morning and did a super motivational, entertaining and energizing opening presentation. Whether you’re looking for a motivating keynote speaker or a high energy MC, believe me, Marvelless Mark is your man! Captivating. Intense. Purpose-driven. Whether on a keynote stage, leading a corporate workshop, conducting an interview or discovering new ideas for success in a one-on-one meeting, Mark captures the essence of what it takes to stand out. His approach is refreshing, memorable and will resonate with any audience. 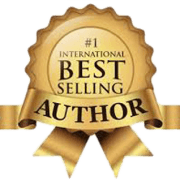 His vast experience comes to life via his sincere story-telling as he creates a sense of urgency for staying in your professional spotlight at all times. I highly recommend Mark and his passion for music, creative performance and top-notch principles on leadership and professional improvement!